The report sets out a pathway to deliver tangible and lasting change. 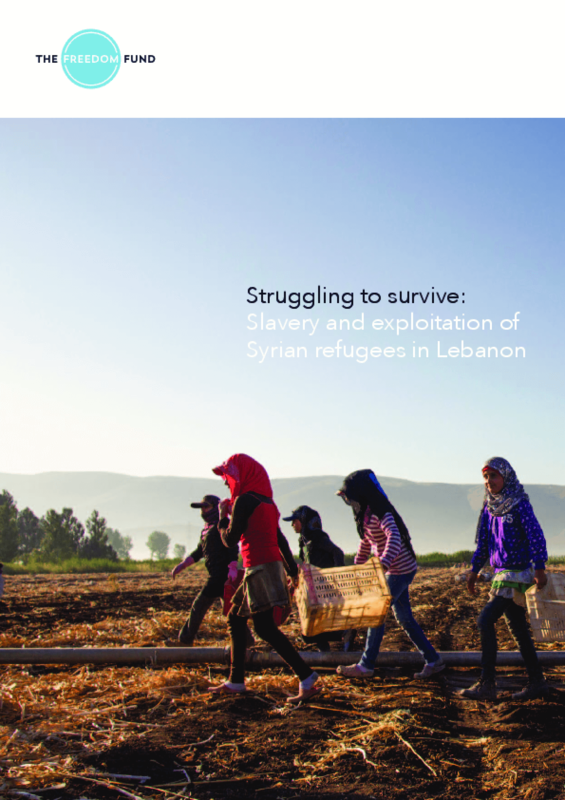 It examines the different ways in which slavery is occurring among Syrian refugees in Lebanon and the multiple factors that combine to force people into situations of slavery. Addressing these risk factors will require the commitment of a broad range of stakeholders, including the Lebanese government, international governments, international organisations, NGOs and donors. Copyright 2016 by Freedom Fund, The. All rights reserved.